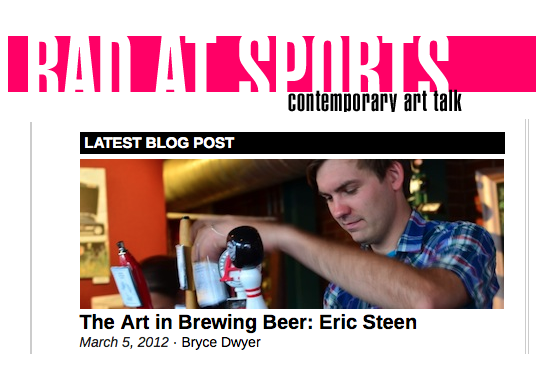 I was interviewed by Bryce Dwyer on Bad At Sports for an article titled "The Art in Brewing Beer: Eric Steen." It's a really nice article with really great questions on Bryce's part. It's part of a series that looks at artists using alcoholic beverages in their work. To read the full article, go here.